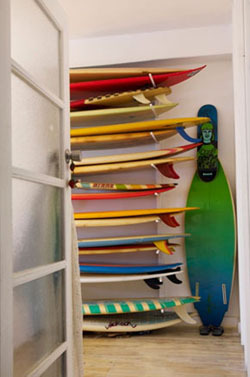 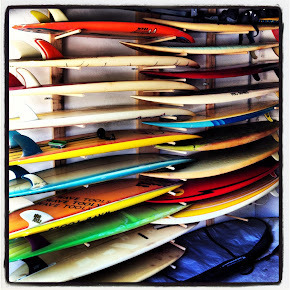 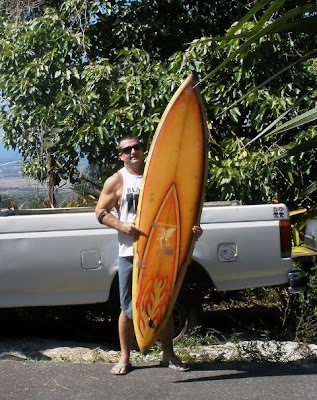 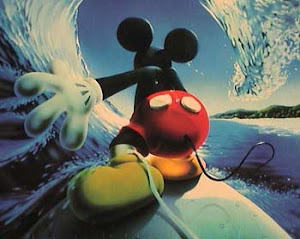 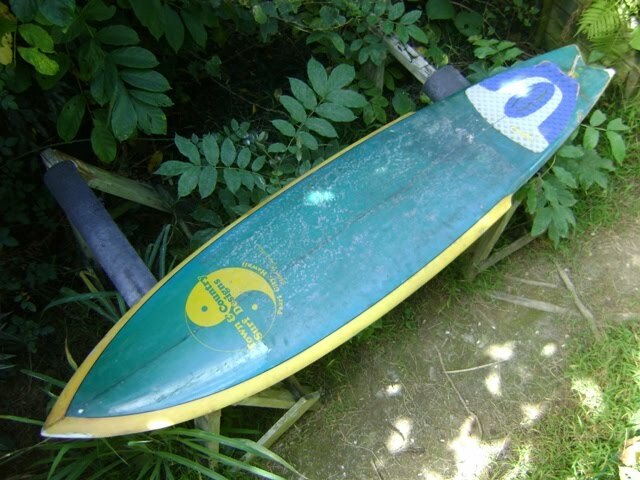 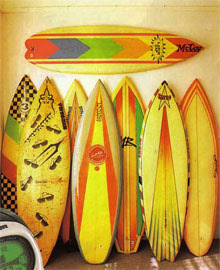 : Board Collector: The Original Stinger collection! 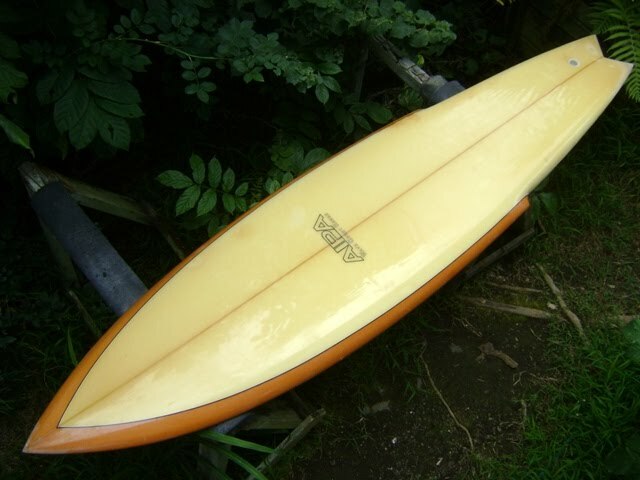 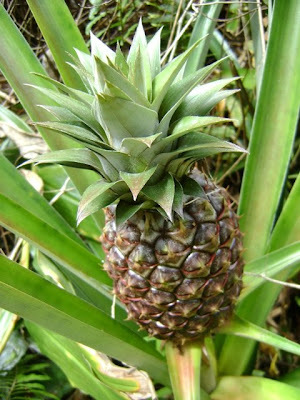 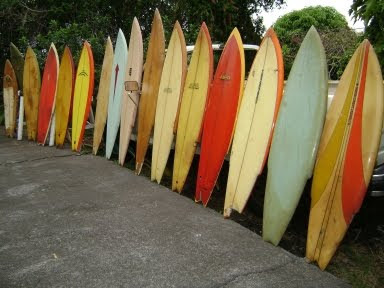 Just got your new post on "the Original Sting"...next to Bonzers & vintage guns, I love the Stinger shapes! 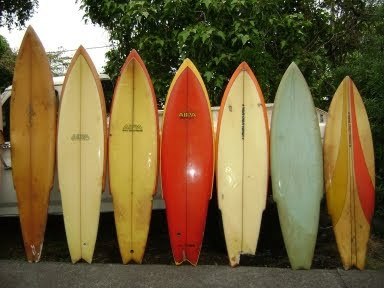 I've been putting together a vast collection of Stingers from various shapers for many years now. 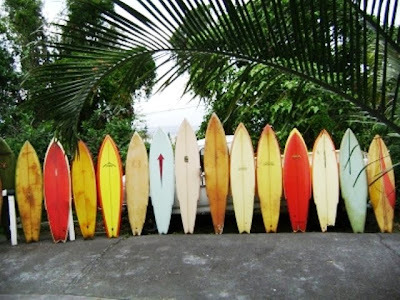 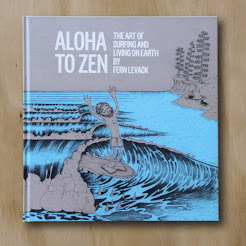 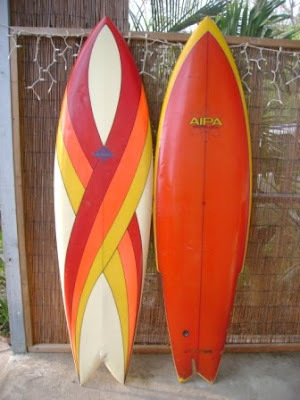 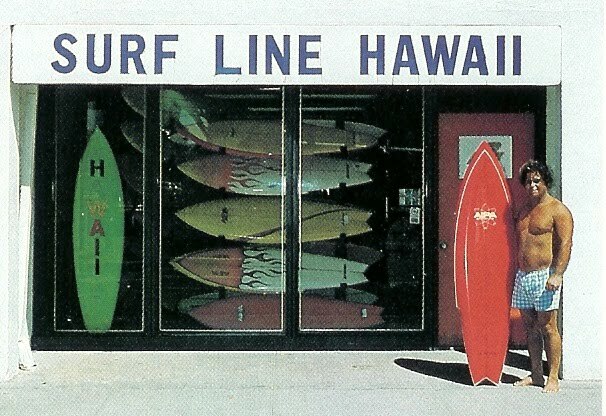 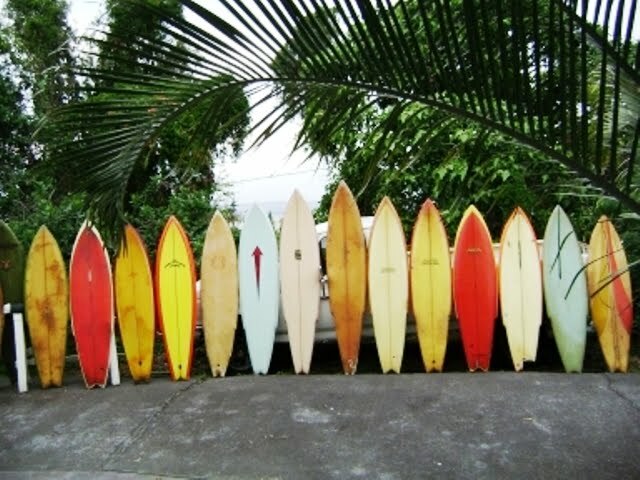 My Aipa's are by far my favorites!...and I even have two Progressive Expressions Stingers that Joe Kuala shaped over on Kauai back in the 70's...one with a "step bottom"...what's interesting about those, is that Joe Kuala taught ben Aipa how to shape surfboards. 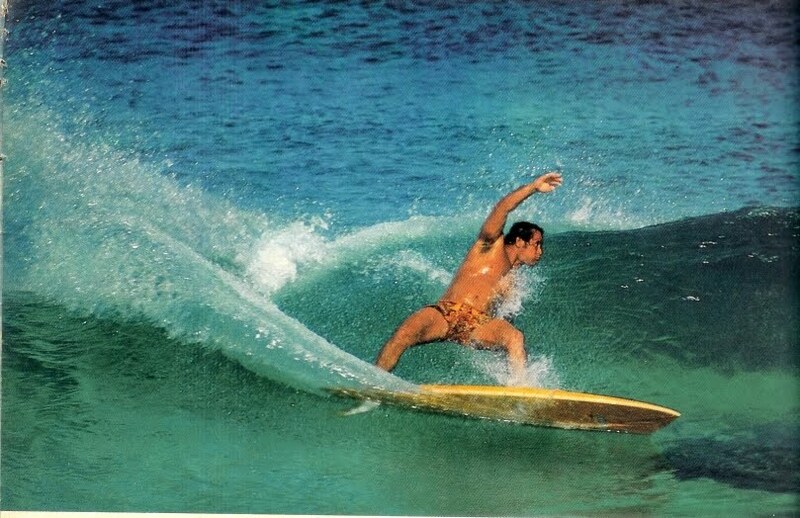 They're both Hawaiian shaping "living legends" for sure, much respect for both gentlemen. 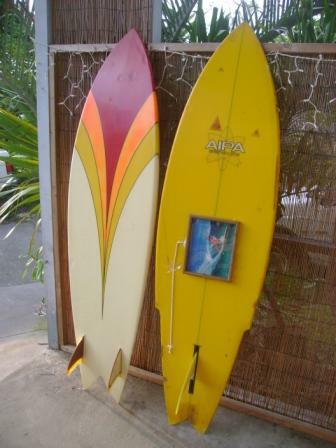 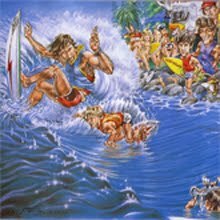 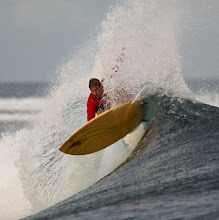 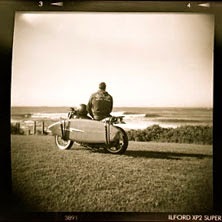 When Gavin was over here in the islands, I traded him one of my nicest Wave Crest Hawaii Stingers for that Cooper Bonzer. You'll probably see it at the Deus Swapmeet, if he decides to sell it. Gavin also got two of my Greg Noll Transitional shapes and one of my prized (signed) 70's Brewer guns... You posted the Greg Noll Fain's Formula on your website a week or so ago. 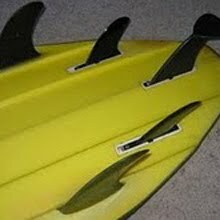 Thought I'd share a few pics of me Stingers, before I get back to the sanding room... 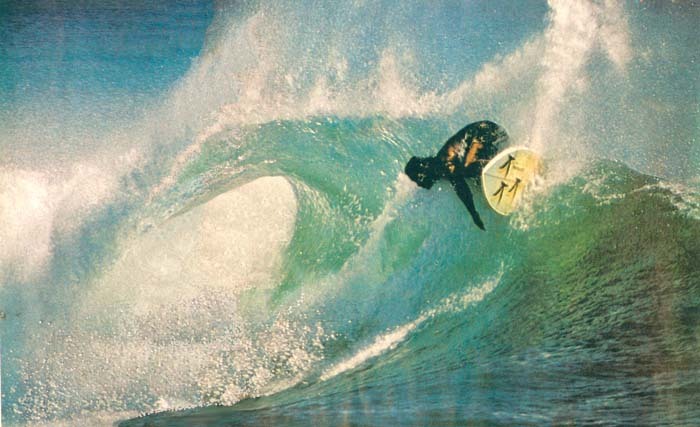 I found a picture of Ben Aipa riding the yellow/red Stinger in one of my old 70's mags...stoked! 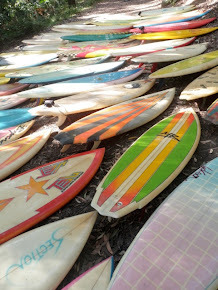 All the boards are for sale if you know any interested parties. 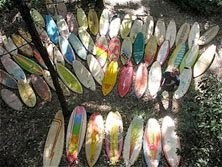 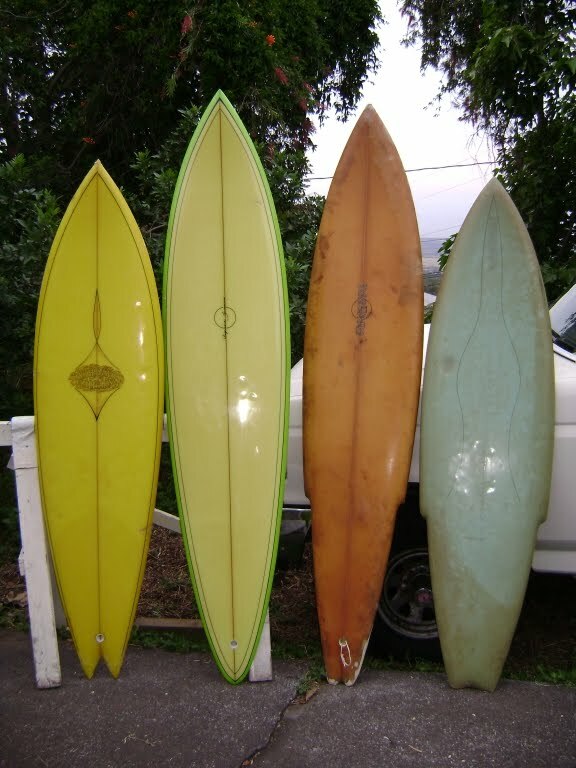 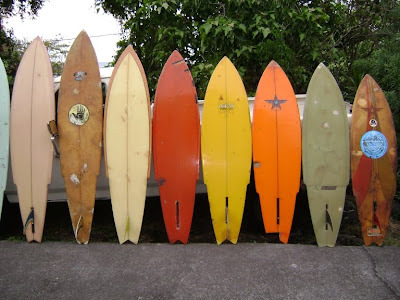 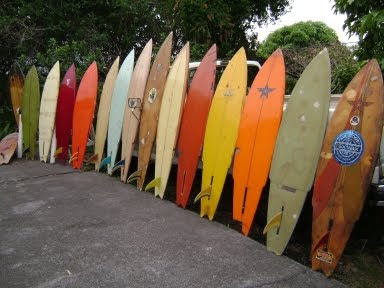 The yellow & red one might be going into Randy's next surf auction though, next year. Joe Kuala "Progressive Expressions Kauai" worth mentioning...plus a couple others that I didn't make the group shot, like the T&C Minami Stinger that I just started to restore. 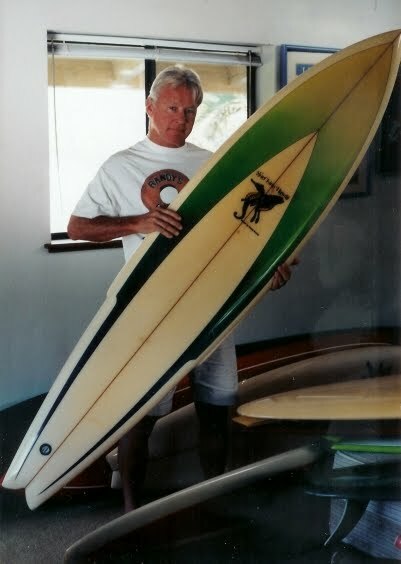 I have a "Stinger Bonzer" that I cut out already, just need to shape it...going to be all black as a tribute to Johnny Cash. 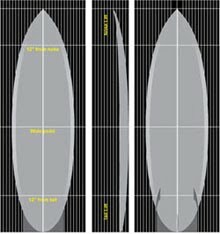 ...That reminds me, I have to lay up a panel and make the black Bonzer fins!...going to be a traditional 3 fin model 6'9" rider. 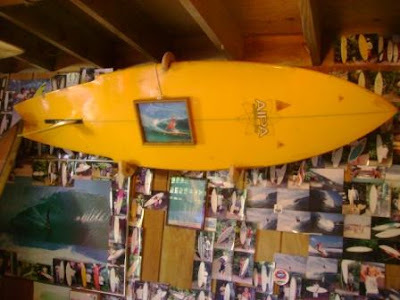 There's also a cool picture that I took a few years back over at Randy Rarick's house at Sunset Beach, when he was showing me the boards that were ready for the auction that year...one of Randy's Surfline Stingers. I have one of those too that I started the resto on, got it a few months back around Thanksgiving time. Unreal boards. 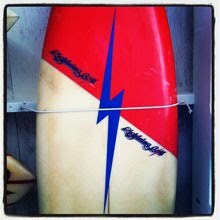 My dad would be stoked to see this. 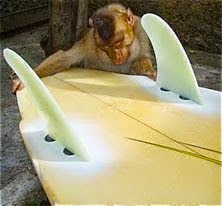 Where are they now Part 2.